We are a leading Manufacturer of solar power equipment from Chennai, India. 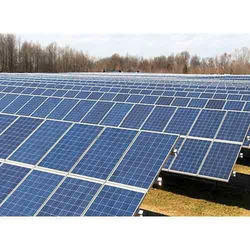 We are engaged in offering a wide range of Solar Power Equipment to our clients. The offered range of product is made from high grade quality raw material to meet the international quality standard. These products are manufactured under the supervision of best quality experts using advanced technology. These products are highly demanded in the market due to their world class quality and available at leading market price.